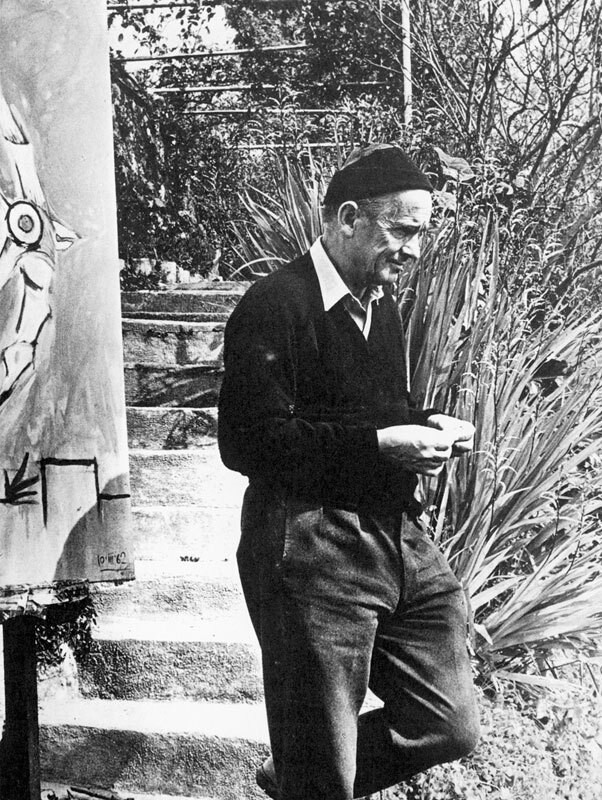 On 20 November 1947 the journalist and Labour MP Tom Driberg took Graham Sutherland to visit Pablo Picasso in Vallauris, southern France. Picasso was working in the pottery, painting and firing plates and pots, and Driberg recalled that he ‘took an almost child-like pleasure in showing them to us –”something useful and practical,” he said, ”something that everyone can take pleasure in”’ Sutherland was meeting a man widely regarded as the greatest living artist, and was already well-acquainted with his work and keenly aware of its implications. His admiration was lifelong, and two of the photographs that Driberg took of them together remained on display on his mantelpiece more than 25 years later. The 1938 exhibition of Picasso’s Guernica 1937 at the New Burlington Galleries in London astounded him. Sutherland later recalled that the work ‘seemed to open up a philosophy and point a way whereby […] things could be made to look more vital and real’. Only Picasso, he announced, ‘seemed to have found the true idea of metamorphosis, whereby things found a new form through feeling’. Sutherland responded by imbuing his landscapes and natural forms with an intense vitality, heightened by the contrast between light and dark, between depictions of life and decay. He explained that he was fascinated by ‘the tension between opposites. The precarious balanced moment – the hairsbreadth between – beauty & ugliness – happiness & unhappiness – light & shadow’. 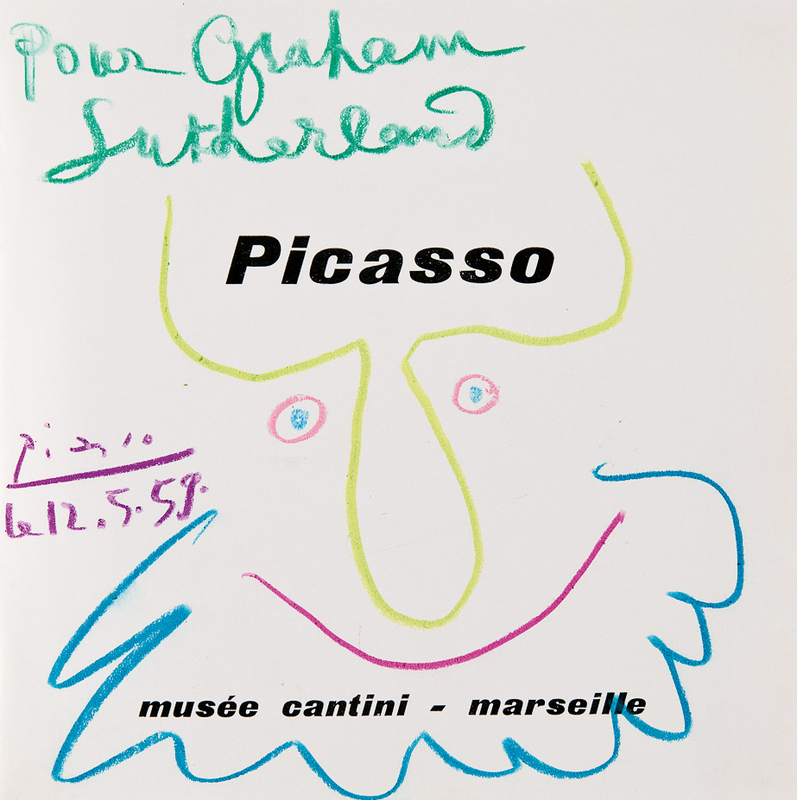 Books and illustrated art magazines, in particular Cahiers d’art, were another source of Picasso’s images and ideas. Copies in Sutherland’s collection are well used: tattered, with missing covers and loose pages, splattered with paint and bordered with fingerprints where his paint-covered hands held them as he worked. He evidently painted with reproductions of Picasso’s work on view. I showed Mr Frog* to Pablo, who has for a long while been wanting to see something of yours in the original. He was delighted and spent a long time looking at Frog […] He put on spectacles and studied it very close and sent a special personal message to You: c’est très bien, je l’aime beaucoup, tu lui diras que c’est une peinture très sensible et très sérieuse [It’s great, I love it, tell him that it is a very sensitive and serious painting]. So there you are. And he was full of praise for the independence of GS, who does his own work and is like no one else. The appraisal is acute: sensitive, serious and independent are insightful descriptions of Sutherland’s practice, qualities he aspired to himself, and the recognition of his endeavours must have been intensely gratifying. Picasso’s art cast a long shadow, and many twentieth-century artists recognised the necessity of finding a way through and past his innovations. In a letter to critic Robert Melville in 1948, Sutherland wrote of Francis Bacon (of whom he was a key supporter at this time) that his work was ‘real & containing the germ of recovery & the possibility of a post-Picasso development’. 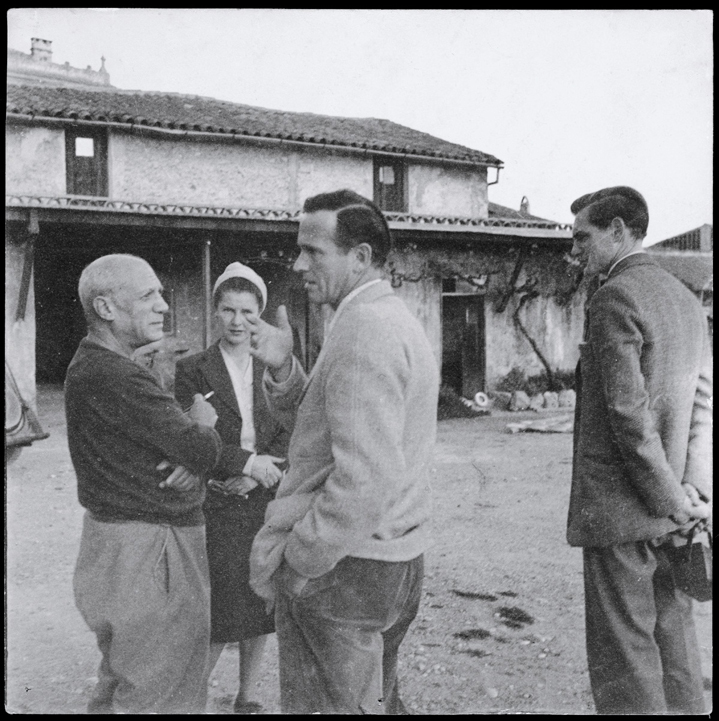 This idea of a ‘post-Picasso development’ clearly shows the significance of Picasso to Sutherland’s concept of modern art and, inextricably, to his own place in that movement. 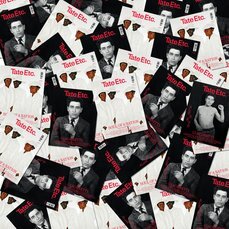 It suggests that he viewed the Spaniard in particular as the agent of an artistic rupture; an upheaval that had fundamentally changed the way in which artists must work. Sutherland was striving to determine how artistic practice might progress in the aftermath of this. He was not interested in imitating Picasso’s achievements, but instead was struggling to learn the lessons they offered and thus find an original path for his art. * Douglas Cooper was probably referring to one of a series of Sutherland’s paintings of toads that the artist had found on the road from Menton in 1958. 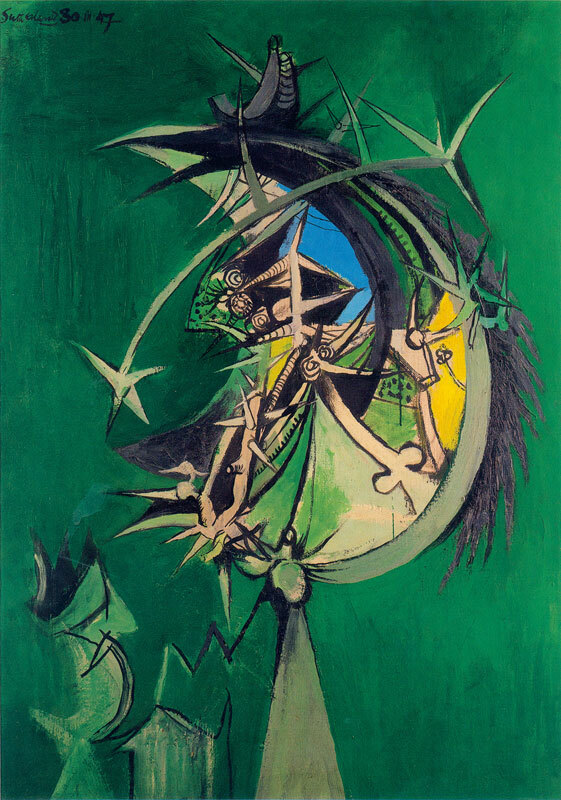 – A selection of Graham Sutherland’s paintings are included in Picasso and Modern British Art. 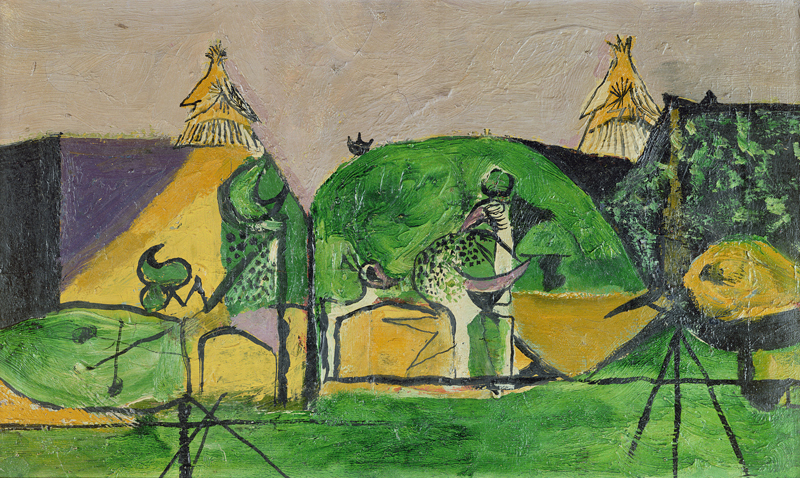 Graham Sutherland: An Unfinished World is at Modern Art Oxford until 18 March 2012. – Rachel Flynn is the AHRC-funded collaborative doctoral award student at Amgueddfa Cymru – National Museum Wales.